We are a home business based in Florida. I have always loved to bake, ever since I was a child. It is a type of meditation for me. 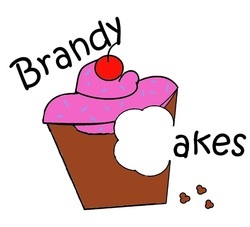 Brandy Cakes has been operational for a few months now and I am happy to see how much it has already grown. I am a born and raised Virginian from a very large family. I was a teacher for 4 years in the country my husband and I graduated from. In December 2011, I married my best friend. When he got home from a 9 month deployment, I moved down to Florida! It has been great so far. I love the area and I love that I get a chance to bake every day! Let me share in your special moments with a cake, cupcakes, or both!